Walt Disney Animation Studios has an exciting opportunity for a Modeler to join the team at our Burbank, CA studio. As a Modeler at our studio, you will build complex 3D models including organic characters and articulated set and prop models. You’ll work with a team of artists, including Visual Development Artists and Character TDs to interpret designs, and build and refine models for production. It seems to me that any website called Animation Insider ought to do what it can to help other be insiders as well so when we hear of available jobs we’ll post them here for you! Good luck! Disclaimer: This website has no more information than you will by reading the ads and we are not affiliated with the company offering the job in any way. We can not get you the job, nor do we apply on your behalf, we simply offer the posting of these jobs to help our readers. Posting a comment here will not let you apply. 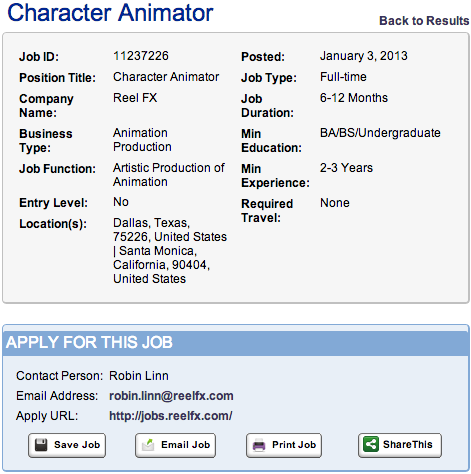 Reel FX is hiring a character animator in Santa Monica. 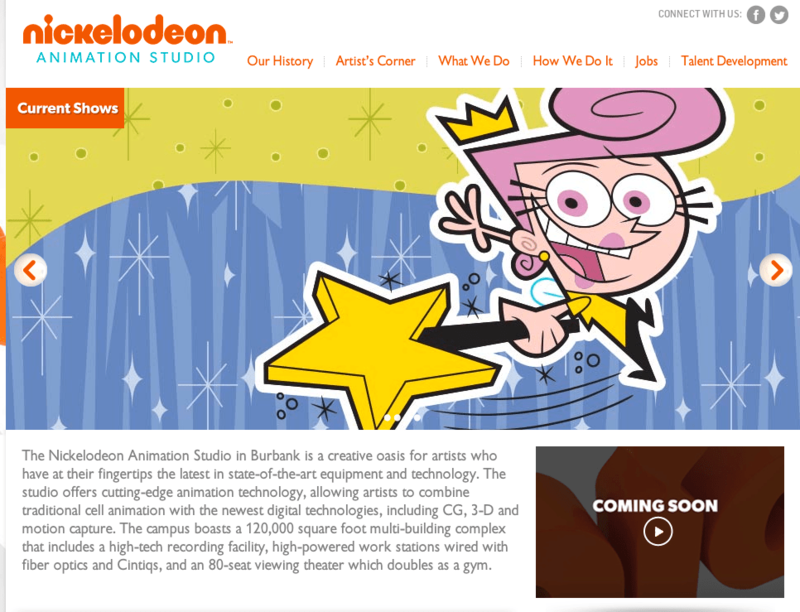 character animator job in Santa Monica. Disclaimer: In order to apply you need to click the picture which will take you to a place you can find out more details. I have no more information than you will by reading the ad and am not affiliated with the company offering the job in any way. Posting a comment here will not let you apply. If you don’t know what an Animation Director is, you probably shouldn’t apply but in the interest of education it’s typically someone who handles exposure sheets in addtion to retakes and revisions. Here’s a little bit more about Exposure Sheets. At Animation Insider we know getting a job is all about who you know and that’s why we offer links to jobs when we see them. But just so we’re clear, we ONLY do this to help those in need. We are NEVER affiliated with the company, have no role in hiring and can not negotiate on your behalf. You will NOT get the job by posting your resume or site int he comments because the company will not read it. You MUST got to the link provided int he post to apply for the job. We have nothing to do with these jobs above having seen them and saying as a friend: “hey , check this out… this lokos good for you.” that’s it. That’s pretty much it. Now go get a new gig!